When most people hear the words “military surplus”, they immediately think of rifles and other long guns. Or perhaps they think of quiet, dusty stores that sell camouflage clothing and dented canteens. However, surplus handguns are another segment of military surplus collecting that should get shooting and firearms enthusiasts excited. Especially those who enjoy shooting handguns more than rifles. Let’s take a look at some of the interesting and affordable surplus handguns that any firearm enthusiast or military surplus collector would be proud to own. 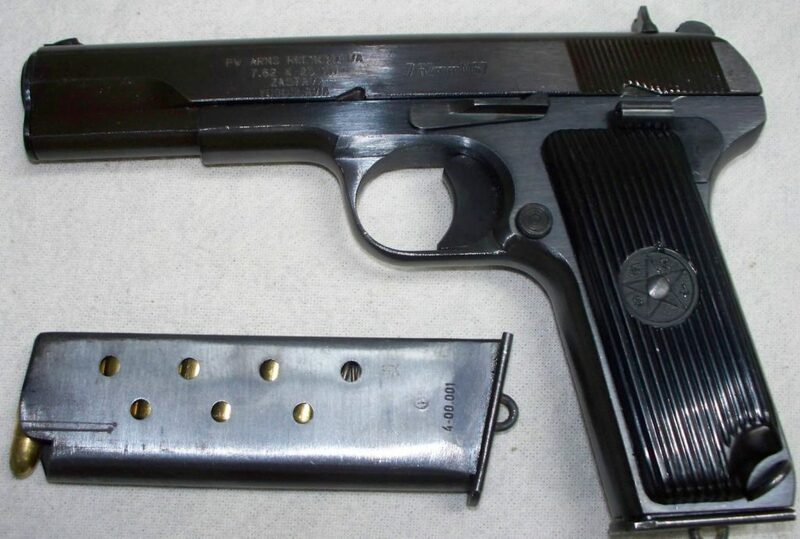 The TT-33 semi-automatic Russian pistol is one of the most commonly known surplus handguns there is. The TT-33 Tokarev is a redesigned version of the original Tokarev pistol that was known as the TT-30. The original TT-30 was originally designed in the 1930s by Fedor Tokarev when the Soviet Military was in search of a new sidearm to replace the aging Nagant M1895 revolvers that were still standard issue at the time. A few weeks after the design of the pistol, 1,000 of the guns were ordered to be used in troop trials. Not long after, the TT-30 was adopted for use in the Red Army. However, despite being put into production, the TT-30 was already undergoing redesigns to simplify the manufacturing process. These changes included minor changes to the barrel, trigger and frame. The redesigned pistol was dubbed the TT-33. 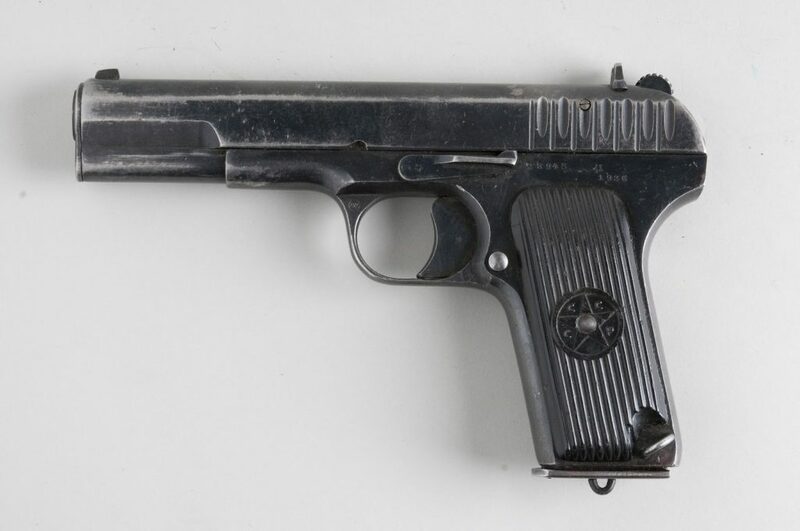 During the TT-30 production run from 1930 to 1936, about 96,000 total pistols were made. The TT-33, on the other hand, had a much more prolific production run with approximately 1.7 million being made between 1933 and 1952. The TT-33 was mostly issued to Soviet officers and saw widespread use during World War II. Interestingly enough and despite the popularity of the TT-33, it still never completely replaced the Nagant M1895 revolver. I could go on and on about the history and the design of the TT-30 and TT-33, but this article is more about owning, collecting and shooting these surplus handguns. The TT-33 Tokarev is chambered for the 7.62x25mm Tokarev cartridge and weighs approximately 30.1 ounces unloaded. 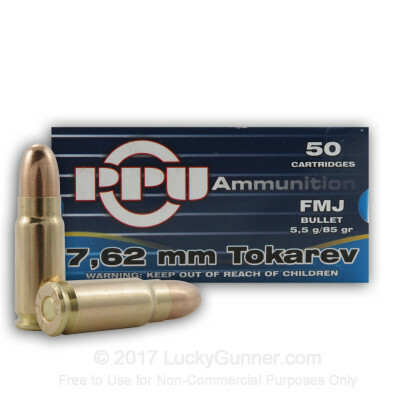 The 7.62x25mm cartridge is known to be a very flat shooting round that packs a hard punch. The muzzle velocity for this round ranges from approximately 1300 to 1800 feet per second. For example, modernly produced 7.62x25mm ammo from the Wolf brand has a muzzle velocity of 1,722 feet per second and 560 foot pounds of muzzle energy. The TT-33 Tokarev features an eight round detachable box magazine and a 4.6 inch barrel. This pistol is renowned for being extremely durable and reliable even in the face of extreme conditions and abusive treatment. The power, simplicity and reliability of this pistol make it popular amongst military surplus collectors and shooters. A quick search on some gun auction websites brought a few results for TT-33 Tokarevs for sale, but many of the prices were approaching almost $900. 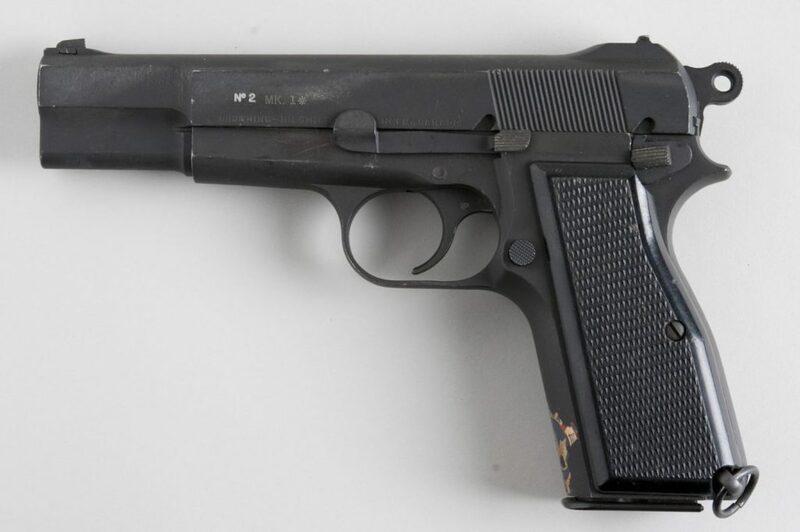 Considering the type of modern handgun that could buy, only serious history buffs and collectors would probably be interested in a TT-33 at that price. Luckily, there are many variants of this pistol that are typically available for much cheaper. 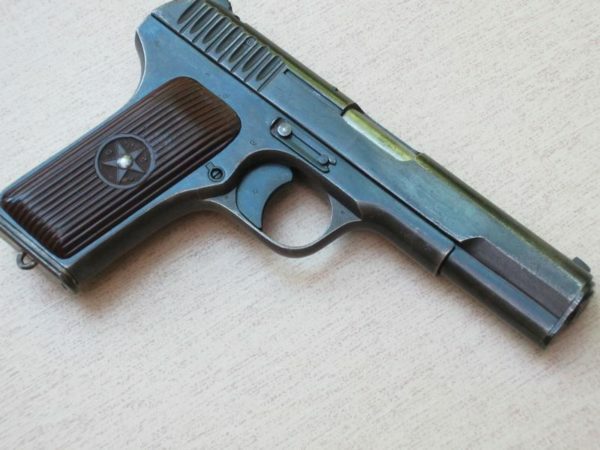 The Yugoslavian M57 TT Tokarev pistol, also known as the Zastaca M57, is one of those cheaper variants of the Russian TT-33 Tokarev. It was used by the Yugoslav People’s Army starting in 1957 and ending in 1992. 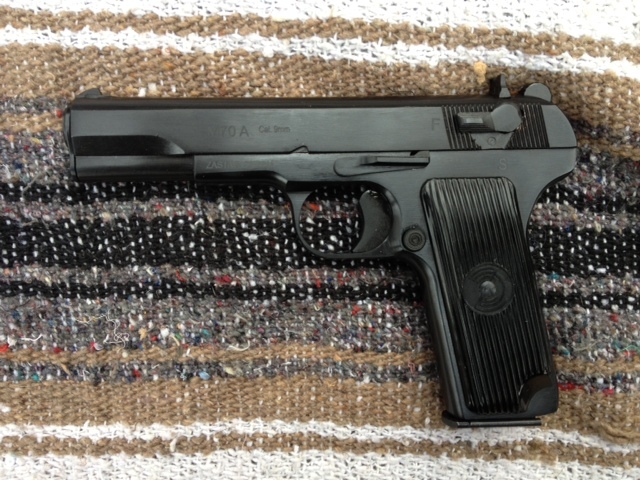 However, this pistol is still being produced today by Zastava Arms in Yugoslavia. When production started in 1957, the M57 was a licensed copy of the Soviet Tokarev. The main difference between the two pistols was that the M57 featured a nine round detachable magazine while the Soviet version only had an eight round magazine. The M57 is chambered in the same caliber, 7.62x25mm, as the TT-33. As with all your ammo needs, this guy is available through our friends at Lucky Gunner. This short-recoil-operated, locked-breech pistol uses a Browning-type action and the trigger is of the single action variety. The controls on this military surplus handgun are identical to the revered M1911 pistol which adds to the popularity of the M57. The Zastava M57 also has several variations. The M57A is identical to the M57, but has the addition of an external safety. There is also a 9mm version of this pistol known as the M70A. Similarly to the M57, the M70AA is the 9mm version with an external safety. The typical price of the M57 is much more palatable than its TT-33 cousin (or should I say comrade) with plenty of pistols to be had in the $220 range. That’s not too shabby for a new handgun to tote to the range for some extra shooting fun, even a surplus handgun. Even if you have never heard of the M1895 revolver, the name Nagant should be familiar considering the widespread popularity of the Mosin-Nagant rifle. The M1895 revolver is a very iconic military surplus handgun considering that is was commonly used starting when it was designed in 1895 all the way into the 1950s. Yes, it was even still in use despite the TT-33 becoming very common starting in the 1930s. Consider this, the Nagant M1895 revolver has been used during the Boxer Rebellion from 1899-1901 all the way up to World War II and beyond. In fact, the M1895 was still in service with the postal security service in the Russian Federation until 2003 (apparently delivering the mail in Russia is a dangerous job) and the M1895 wasn’t retired from the bailiff security service until 2009! Talk about longevity. That either speaks incredibly well to the design of the revolver or perhaps the soldiers who used the M1895 were simply stubborn or resistant to change. Stubborn? 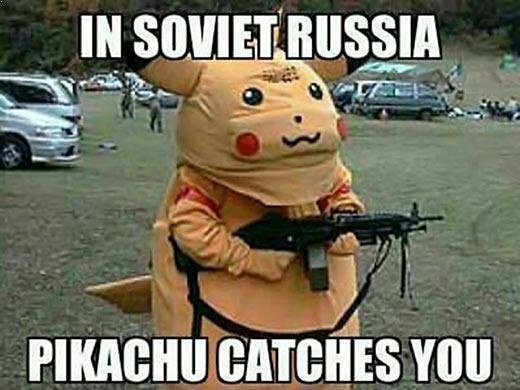 Surely not in Russia. 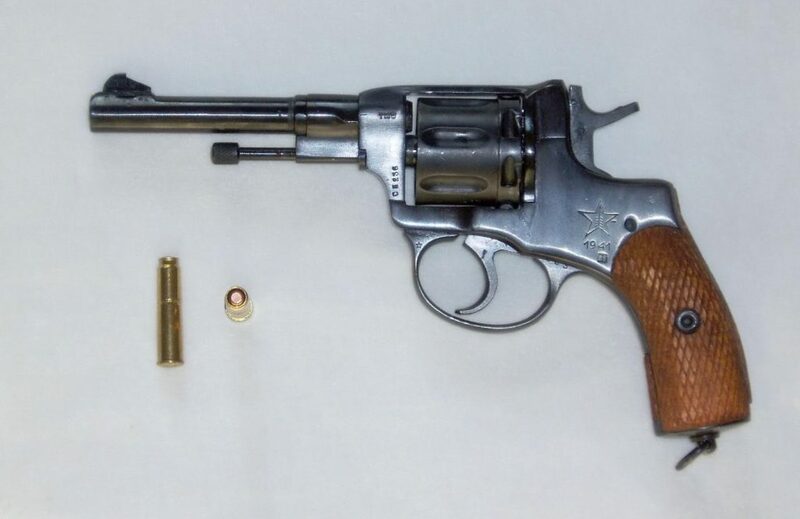 Adding to the mystique of the long-lasting Nagant M1895 revolver was the cult status that developed around the handgun in the 1930s due to the unique design and distinctive shape. During the 1930s, being presented a Nagant M1895 revolver with an embossed Red Star became one of the highest honors that could be given to a Party Member. 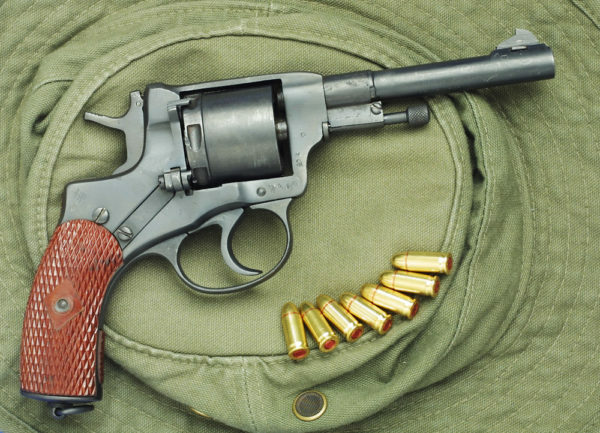 Of course, when we talk about the longevity of the service life of this revolver, the extreme durability that the Nagant M1895 boasted can’t be ignored. It is well known for being able to withstand serious abuse and continue to fire without issue. 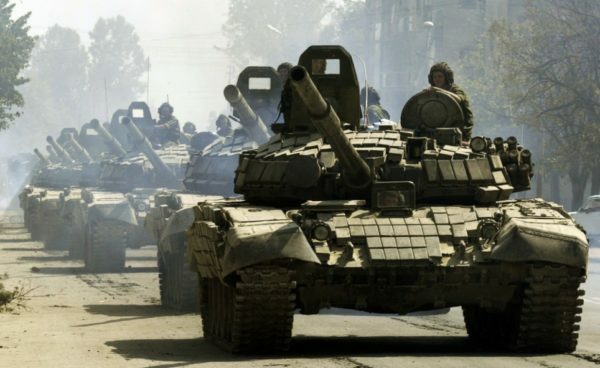 Russia: where the handguns are built like tanks, and the tanks are built like tanks. Everything is tanks. The Nagant M1895 revolver was designed by the Belgian industrialist Leon Nagant and featured a unique “gas-seal” design. This meant that the cylinder moved forward when the hammer was cocked to eliminate the gap between the cylinder and the barrel. This provided a boost to the muzzle velocity of the round and also allowed the revolver to be suppressed which was an unusual capability of a revolver. The lack of the gap that is typical of most other revolvers gave the M1895 cartridge an extra 50 to 150 feet per second of velocity. It also eliminated the danger of escaping gases from the cylinder gap causing injury if the gun was not fired with the proper grip. The main downfall of the design was that it made reloading the revolver a very labor intensive task because each empty cartridge had to be ejected manually one at a time. Inserting fresh cartridges was equally as laborious. 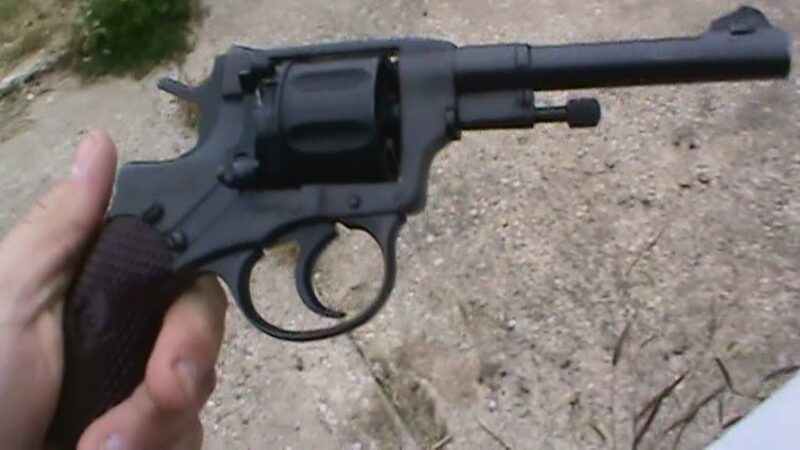 Speaking of hard work, the trigger pull of this revolver will really test your strength as the double-action version easily reaches or exceeds a 20 pound pull! Initially, two versions of the M1895 were manufactured. One was a double-action model that was issued to officers and the other was a single-action model that was issued to lower ranked soldiers. That only lasted until 1918 when the single-action version ceased to be manufactured. The Nagant M1895 is chambered in 7.62x38mmR. 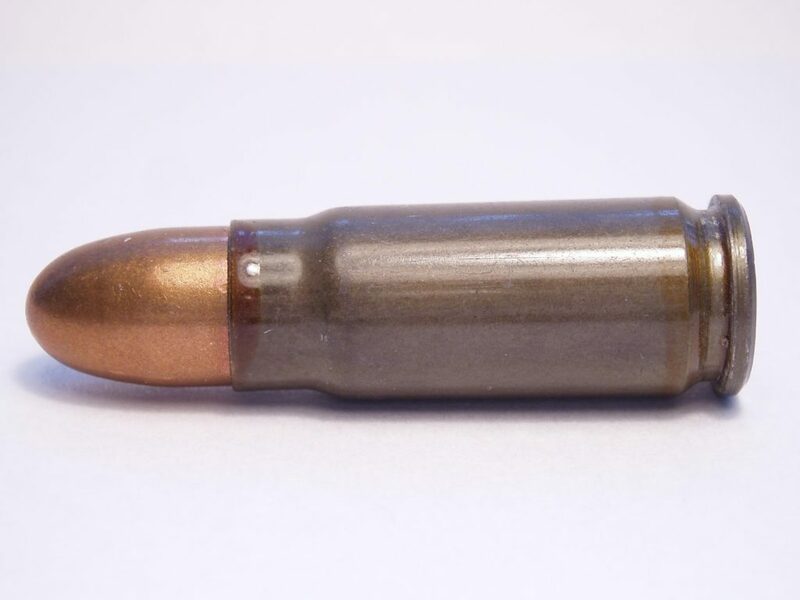 This round is also known as 7.62mm Nagant or Cartridge, Type R.
Admittedly, its a weird looking round. 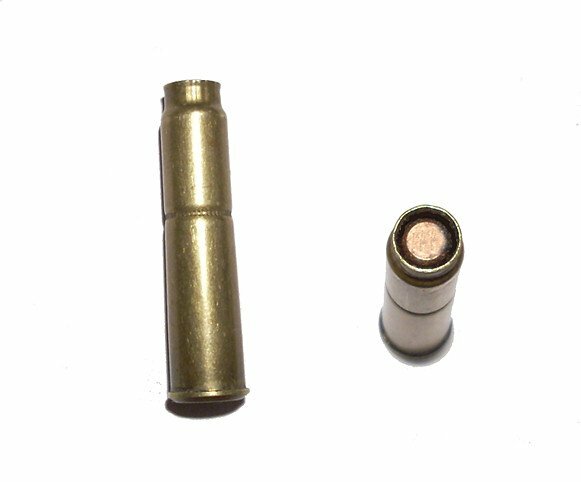 This round is unique because the projectile is seated below the mouth of the cartridge and the cartridge crimp is located just above the bullet. When fired, this design forced the cartridge crimp into the forcing cone which completed the gas seal which gave the bullet the increase in velocity that the M1895 was famous for. The caliber of 7.62mm was chosen in part because it was the same as the Russian service rifle of the time, the Mosin-Nagant M91. This similarity between the two weapons allowed for simplified tooling for both barrel manufacturing and ammo manufacturing. The Nagant M1895 can be purchased on the surplus market in the $200 to $300 range for the most part, making it an excellent option if you’re looking for a quality, reliable surplus pistol. While it may not be a great everyday shooter by any stretch of the imagination, it is still a very interesting piece of history and would make a great addition to any collection. Especially when paired with a Mosin-Nagant rifle. One of the most popular overall service pistols on the surplus handgun market today is the Browning Hi-Power. This gun is a single-action, semi-automatic handgun based on a design by John Browning that was chambered in either 9mm or .40S&W. This gun is one of the most widely used service pistols in history and has been used by the armed forces of over 50 different countries, and is considered by many to be the king of the surplus pistols. Despite that popularity, an actual Browning Hi-Power can be very pricey on the secondary market. However, collectors on a budget will be happy to know that there are several variants available on the surplus market that are much more affordable. For example, the FEG manufactured variant can be found in the $350 range. When compared to the often $1000+ Brownings, that is a steal. What do you think of the Hi-Power? If none of the surplus handguns I mentioned above tickle your fancy, there are plenty of other types out there that may fit your personal needs and tastes more closely. A great place to look for some of those options is SOG International, Inc. They have an entire section on their website devoted to selling various surplus handguns. From Makarovs and Tokarevs to Sig Sauers and Berettas, the options are numerous and the prices very attractive. Military surplus rifles are not the only option for people who are serious collectors of military firearms or even for people who are just starting out. Surplus handguns are readily available and offer a different experience when compared to shooting milsurp rifles. The common ground comes with the fact that when you shoot a military surplus gun, be it rifle or pistol, you are firing a piece of military history. Do you have a surplus pistol? Want one? Let us know in the comments! I have the Star Firestar Plus in 9 mm. It is 13+1, SAO, 25 oz with a 3.4 inch barrel and aluminum alloy frame. Fits nicely in tight spots due to it length and weight. Talk about a pistol ahead of its time, this is one of them. Several years ago Interarms imported Star Modelo Super B in 9mm Largo for about $150-$200. Many of the pistols would chamber the .38 ACP and .38 Super. The documents that came with the pistol cautioned against the .38 rounds.